Got home and realised you might have left something important at the studio? Please become familiar with the buildings common LOST & FOUND closet located on your way to studio 3 Milne (on our main level). Lost & Found is in the first closet on your right. Items left behind will be placed here, by building staff. 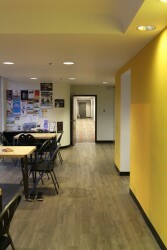 This is accessible during Dance Victoria’s (building facilitators) office hours during the day and BDC’s operational hours in the evenings. 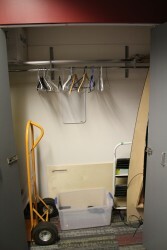 Be sure to check here frequently as items left behind are donated after several months by the facility operators. Please note this the buildings common Lost & Found accessible to all users of the facility. 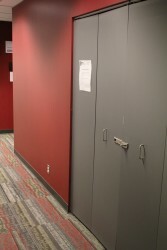 Students are to bring in all personal items into the studio and NOT leave them in the common space during class time. 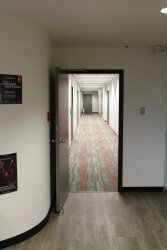 Items left out in hallways, on tables and the common area may be mistaken for lost and found. The studio, staff, instructors and facilitators do not take responsibility for lost or stolen items left on its premises. We suggest labelling all dance shoes and dance apparel used for classes, in the case items are left behind they can be easily identified. Please check the lost and found before making a request at the office. Cleaners and staff place all items here nightly. Thank you for your cooperation. © Copyright 2016 Boston Dance Inc. All rights reserved. Use of content without expressed consent is strictly prohibited.